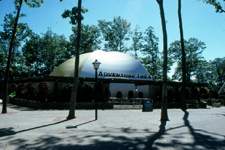 Six Flags Great Adventure continued its cycle of growth as the 1980s began with multiple new attractions to accommodate the increasing crowds. 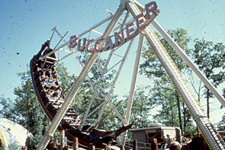 The big new ride for 1980 was the Buccaneer swinging ship. One of the first installations of this type of ride, the Buccaneer was considered a real thrill and would have lines in excess of one hour at peak times. 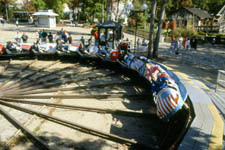 The Buccaneer along with the Adventure Theater replaced the Grand Prix ride which was one of the park's original attractions. The new Adventure Theater offered a (then) state of the art 70 millimeter film on a 180 degree screen. 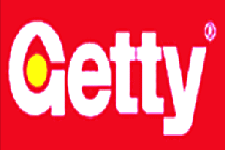 The films offered an immersive experience with exciting action scenes that surrounded the audience. 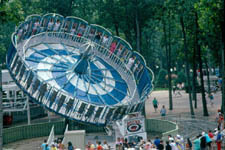 Two attractions, the Super Round Up and Swiss Bob, were replaced with newer model rides. 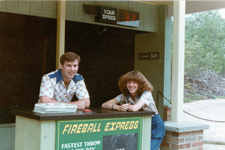 Other new features in the park included new games like the Fireball Express, which used a radar gun to measure the speed of guests pitches. This was very popular as guys tried to show off their pitching skills and crowds would often stand and watch as the speed popped up on the digital display. 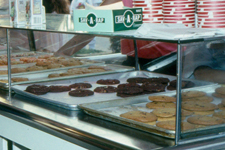 Additional facilities included a new treats stand named "Kiss My Cookies" which was located near the fountain, and a gas station positioned near the property's entrance/exit to alleviate concerns of the gas shortage issues of the time. To try and extend the park's season and keep guests coming into the fall, the park introduced Oktoberfest. 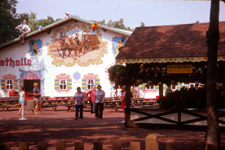 The centerpiece of the festival was an authentic fest halle transported from Hanover, Germany and added to the Garden of Eatin' picnic grove.